The opportunities for exposure and networking with members of the largest chapter of ISA are endless. This year we have several events being held in the exhibit area. (Opening reception, continental breakfast and two breaks each day) A special evening event with the outdoor exhibitors will be held on Tuesday night. Contact Suzanne at the Western Chapter office at 866/785-8960 for registration materials or to reserve your spot. 8 Foot Table Exhibit Space: Includes a (1) 8’ Draped Table, (2) Chairs, (1) Wastebasket, and (1) Identification Sign. 32 spaces are available. There is an additional charge for electrical and av accessories (where accessible­). Information and order forms will be posted on the website when available..
Educational Exhibit Space: Table top exhibit spaces are available for a nominal charge. This area is limited to non-profit and community organizations as well as government agencies. A limited number of spaces are available. Due to the discounted pricing, conference registration is not included with educational exhibit space. These table top displays will be located in the foyer outside the educational sessions and trade show. Each exhibitor registration (excluding educational exhibits) includes one full conference registration. 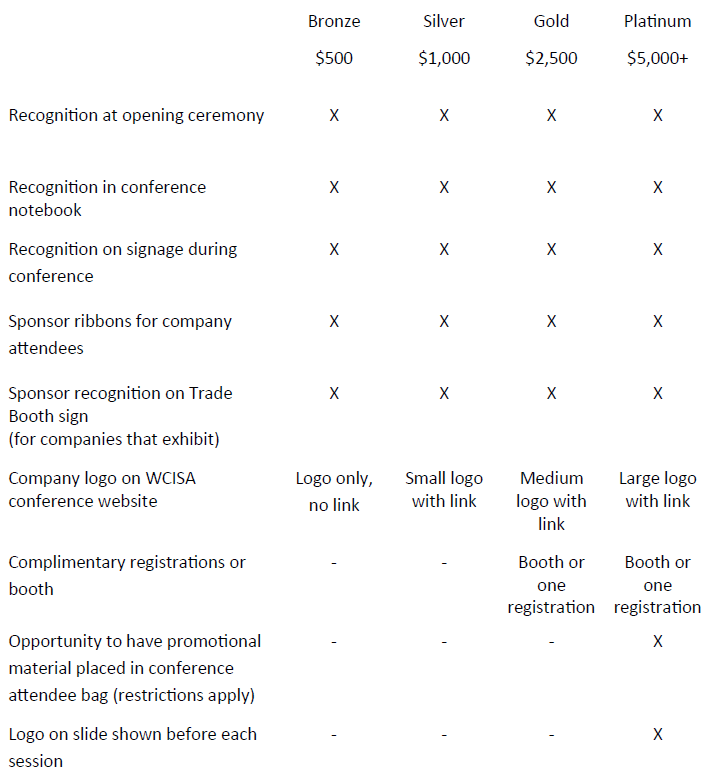 If you wish to register additional trade show attendees (limit of two per booth), additional fees will apply. One company per booth or table – no shared spaces.